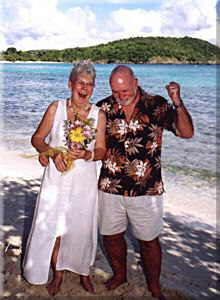 So you want to renew your vows on an island in the Caribbean? St John has always been known as the Island of Romance, thus the name “Love City”. 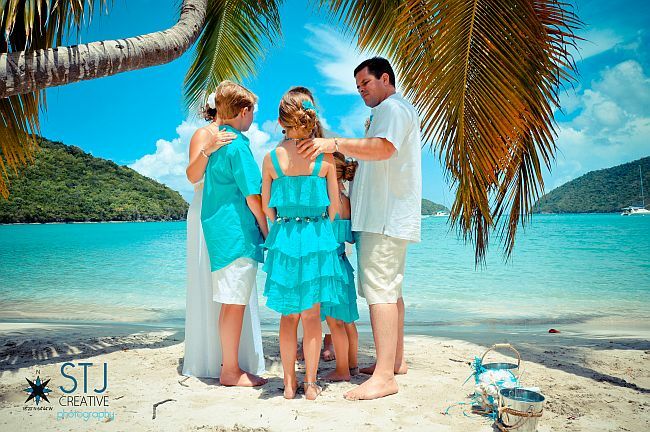 Renewing your marriage vows in Love City St. John USVI is a delightful way to enhance your US Virgin Island vacation. 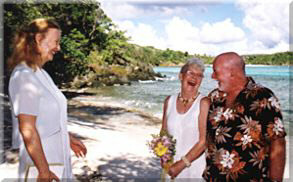 Re-affirming wedding vows in the Caribbean can make your vacation a honeymoon! 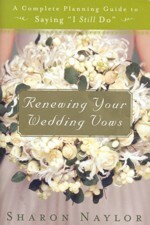 Of course, you can renew your vows on the beach! Our National Park beaches are among some of the most beautiful in the world and ideal for your marriage vow renewal ceremony. 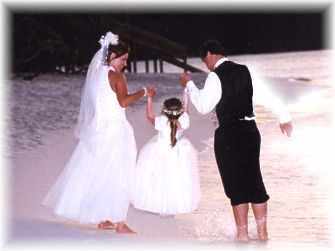 You can renew your wedding vows and stay on the same beach for the morning. 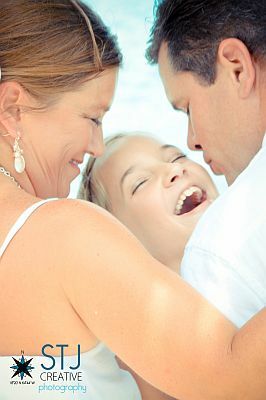 Make your wedding day a relaxed, fun beach day! What a sweet way to begin your honeymoon. If you choose sunset on the beach for your service, You can then go into town to one of Cruz Bay’s restaurants for a romantic dinner. For couples who prefer total privacy, Anne Marie will gladly come to your Villa, Condo, or tent site for your marriage vow renewal service. Afterward one of St. John’s amazing caterers can make you a marvelous dinner at home. 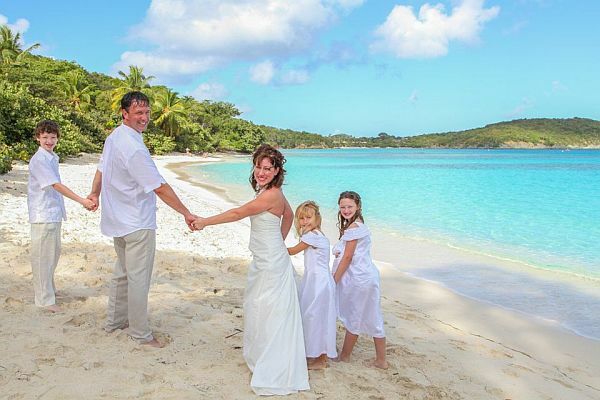 Phone Anne Marie at 340-626-4658 to discuss all the ways your vacation can become a honeymoon. 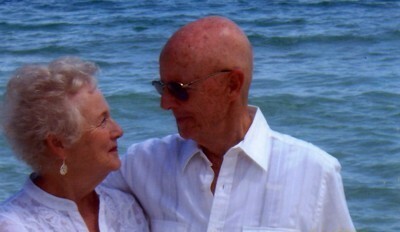 “We are back in Kansas City now but wishing we were still in the islands. I can’t thank you enough for making our vow renewal so special. We really appreciated you literally weathering the storm to get them in. Once everything got started, I was so in the moment, I didn’t even think about the weather anymore. 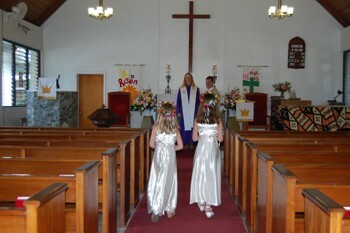 Bring your children to your marriage vow renewal service. “Your special part in our beautiful history of love has never been far from our thoughts. We’re so grateful that we are together again to celebrate our tenth anniversary and re-affirm our love. 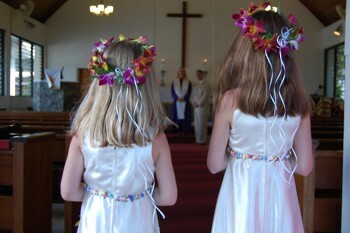 We can’t thank you enough for the beautiful ceremony you did you us Nov 8th on Hawksnest. It was even better 5 years later, the second time around. You truly have a gift, and we hope to see you again on the beach in 5 years! 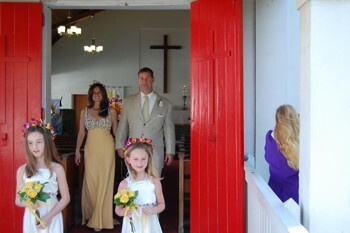 Jill and Lucas Ford were married by Anne Marie at the Nazareth Lutheran Church in 1999. 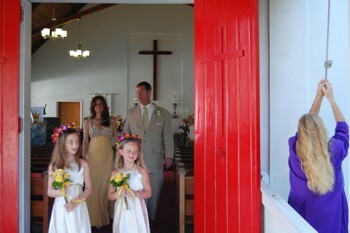 They came back To St John ten years later to renew their marriage vows with their beautiful daughters as witnesses. 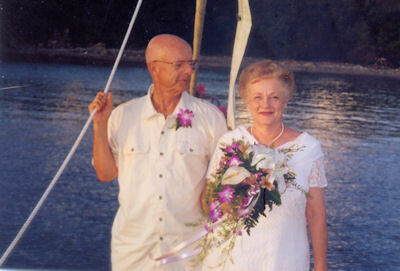 “On Nov 19th, 2002 we took Anne Marie up on her suggestion and brought our daughter, Lauryn, to Hawksnest beach, where we christened her in the exact same place where we started our life together. 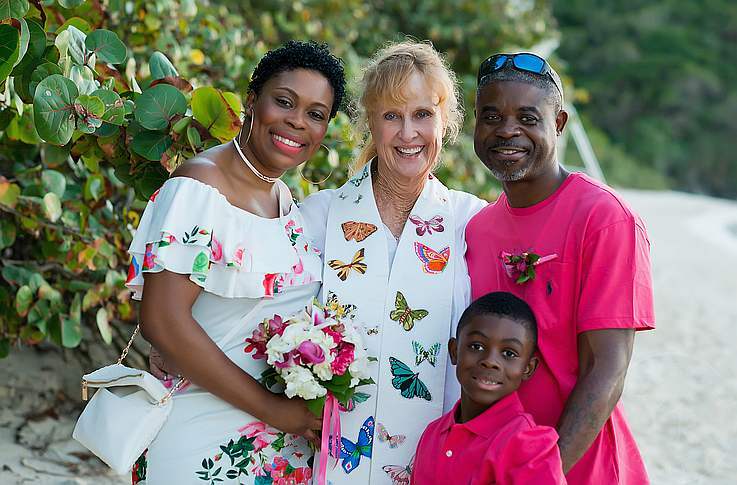 It felt so beautiful to have her join us as we renewed our wedding vows standing in the azure blue St. John’s waters with Anne Marie leading us once again. Even better, Lauryn wore the same baptism dress that I wore as a baby…which, incidentally, happened on February 2, 1972, our wedding anniversary! 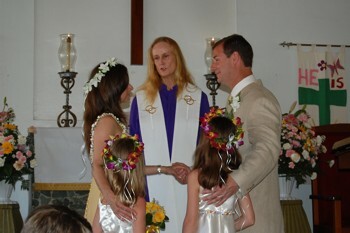 A personalized ceremony that acknowledges your accomplishments, blesses and honors your past, celebrates the present and renews your commitment to the future together. The National Park Beach or location of your choice. A lovely marriage vow renewal certificate to commemorate your new beginning.